The 1966 film How the Grinch Stole Christmas may bring a warm, nostalgic memory to those who’ve watched it as kids. The holiday classic teaches us what the true meaning of Christmas is. The underlying moral is not about the toys, the gadgets or this year’s holiday ham — it’s about bringing the family together, being thankful for a multitude of things and to give instead of receive. But has the sentimentality of true Christmas spirit disappeared in the 21st century? One of the hottest YouTube videos for the holiday season is titled “I gave my kids a terrible present,” garnering 51 million views on Jimmy Kimmel’s channel. Parents videotape their children screaming and crying after opening a gift they didn’t like. For children, the wait to open Christmas presents is excruciating. As advertising for holiday sales creep into the early weeks of November and sometimes even the Halloween season, kids expect good presents — and lots of them. Growing up, we have been surrounded with advertisements for trendy toys, promotions for kitchen appliances and discounts for popular electronic gadgets. The message is loud and clear — the more things you buy this year, the happier you and your loved ones will be. And apparently, we agree with that notion. According to a survey from Statistics Canada, Canadians spent $456.9 million on television sets, audio and video equipment during the holidays in 2016. Similarly, $417.8 million was spent on toys, games and hobby supplies. In a 2018 survey published by the Retail Council of Canada, 66 per cent of Canadians plan to spend the same amount as they did last Christmas, with an average of $675. Retail management associate professor at Ryerson, Mark Lee, said there’s a reason companies are selling Christmas merchandise months before December. But does spending money make us truly happy during the Christmas season? Well, we have to account the number of unwanted gifts we get during the holidays. Last year, Skittles launched the Skittles Holiday Pawn Shop in Toronto where people can exchange their unwanted presents for candy. On the other side of the world, £4 billion is spent on unwanted gifts each year in the United Kingdom. So if we toss unwanted gifts away because they didn’t make us happy, what’s the point of buying thoughtless presents in the first place? Perhaps one reason is because gift giving has become a necessity rather than an option. Gifts become essential to repair or strengthen pre-existing social relations. It’s also a practice of reciprocity — you give me a gift, and I give you one in return. However, sentimentality can be lost in the process of gift giving if it’s only treated as an obligation, especially during Christmas. This could be because the holidays are a hectic time to give everybody you know a present without thinking through what they might actually like. Adbusters, a Canadian based non-profit organization, challenged buyers not to purchase anything for 24 hours. The day was to coincide with Black Friday sales, and to spread awareness of the chaotic practice of fighting over bargains. “We’re trying to challenge a broken system. We’re trying to attack consumerism at its heart,” Doug Haddow, senior editor at Adbusters, said. Materialism seems to have denatured what is truly important on Christmas day. However, Lee says that holiday ads may not be directly prompting viewers to buy more things. But there are a few glimmers of hope to keep us from buying more during the festive season. 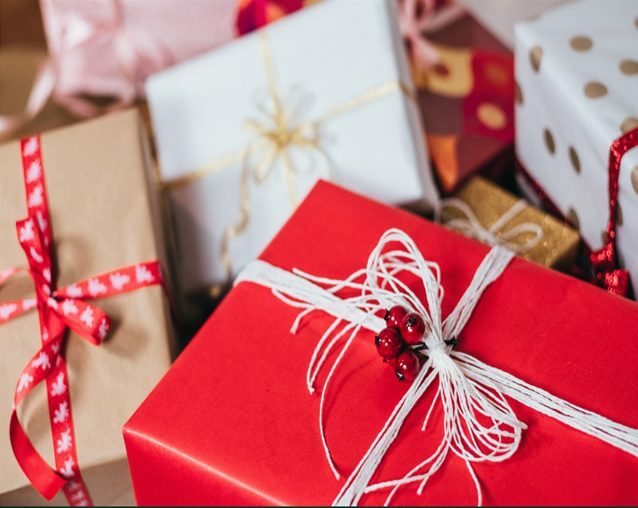 In 2017, a poll conducted by Ipsos showed that 31 per cent of people said they feel obligated to buy presents for too many people. 44 per cent agreed that Christmas has become materialistic, but 57 per cent disagreed. Regifting presents and giving them away to charities at least lessens the materialistic feel of the festive season. Perhaps we are only seeing such gestures at face value, when it seems all we are surrounded by this time of year are Christmas advertisements. What we don’t see is the excitement people feel when they can finally be with loved ones and family for the holidays. That, as Visa commercials tell us, is priceless.